Introducing the 2014 – 2015 editorial staff for the MSRJ. This is an exciting time for our staff as another year passes and they gain more experience in the medical journal field. We’re enthusiastic about the new directions the journal is taking, the fantastic submissions we get each month, and the opportunity to help out other medical students across the world! Jessica Wummel is a fourth year medical student at Michigan State University’s College of Human Medicine. She received her B.S. in Human Biology with a specialization in Bioethics, Humanities, and Society also from Michigan State University in 2011 from the Lyman Briggs College. She is planning on pursuing a career in Med/Peds and would eventually like to be involved in academic medicine later in her career. John “Jack” Mettler is a fourth year medical student at the Michigan State University College of Human Medicine working on a combined MD/MPH degree. In 2010 he received his B.S. in Human Biology with a specialization in Bioethics, Humanities, and Society, also from Michigan State University. He is interested in pursuing either diagnostic or interventional radiology, but also remains committed to public health interests. David Carr is a fourth year medical student at Michigan State University College of Human Medicine. He recieved his B.S. degree in Human Biology from Michigan State University in 2011. He is planning on pursuing post-graduate education in pathology in an academic setting allowing incorporation of clinical practice, teaching, and research. Tina Chaalan is a third year medical student at Michigan State University’s College of Human Medicine. She graduated with a B.S in Biological Sciences at the University of Michigan- Dearborn in 2012. She is interested in pursuing a career in Surgery but is still keeping an open mind towards other fields. She has a great interest in public health policies and hopes to play a larger role in the public health sector later in her career. Margaret Chi is a fourth year medical student at Michigan State University. She is from Los Angeles, California and received her Bachelor of Arts degrees in Molecular Cell Biology as well as Economics from University of California, Berkeley. She then went on to receive a Masters degree in Public Health from the University of Southern California. Prior to starting medical school, she worked as a Research Associate at Kaiser Permanente working on projects related to diffuse large cell lymphoma and coronary artery disease. In her free time, she likes to travel and participate in outdoor activities. In the future, she hopes to pursue academic medicine. Michelle A. Dwyer is a fourth year medical student at Michigan State University College of Human Medicine. She graduated from Oakland University with a B.S. in Biology and a B.A. in Psychology in 2011. She is interested in pursuing a career in Family Medicine. Bobby Sahil Gambhir is a fourth year medical student at the College of Human Medicine of Michigan State University. He completed an Honors Specialization in Medical Sciences at the University of Western Ontario. He will pursue Surgery but is confident academic medicine will be pursued throughout his life. He has served on a number of leadership committees, is involved in various research projects and strives for academic excellence. Liza Gill is a fourth year medical student at Michigan State University College of Human Medicine. She received a Bachelor of Science degree in Physiology from Michigan State University in 2010. She plans to take time off beginning in August 2013 to pursue clinical research at Henry Ford Hospital in Detroit, MI for one year. Alex Golec is a third year medical student at Michigan State University College of Human Medicine. He completed a Bachelor’s of Science degree in Biomedical Engineering from the University of Michigan-Ann Arbor in 2011. He is interested in a career in internal medicine or one of its subspecialties. Caela Hesano is a fourth year medical student at Michigan State University’s College of Human Medicine. She received her B.S. in Brain Behavior and Cognitive Science from the University of Michigan. She is pursuing a career in Obstetrics and gynecology and eventually a fellowship in Maternal Fetal Medicine. 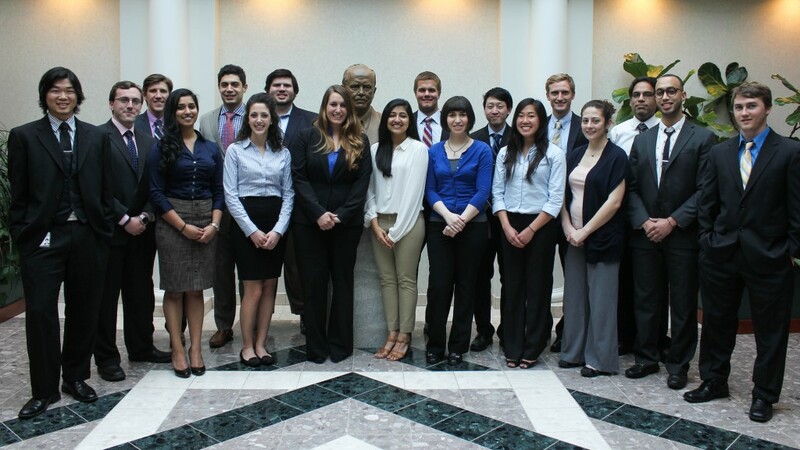 Romina Kim is a third year medical student at Michigan State University College of Human Medicine. She received her B.S. in Marine Biology and Spanish from the University of California, Los Angeles in 2006. She then joined Teach For America and taught multiple subjects to middle school students in South Central Los Angeles. She is currently considering a career in Emergency Medicine with the ultimate goal of practicing academic medicine. Patrick Roach is a fourth year medical student at Michigan State University’s College of Human Medicine. In 2011, he graduated from Grand Valley State University, receiving a B.S. in Biology as well as a B.S. in Biomedical Sciences. He has a passion for aviation and technology, and hopes to apply both of these interests to his medical career by becoming certified as an FAA Aviation Medical Examiner. He is still considering a number of specialties, but is currently most interested in Anesthesiology. Ghadear Shukr is a third year medical student at Michigan State University College of Human Medicine. She received her Bachelors of Science with a concentration in Cell and Molecular Biology from the University of Michigan in 2012. She is interested in pursuing a career in Obstetrics & Gynecology. Tim Smith is a third year medical student at Michigan State University’s College of Human Medicine. He graduated with a B.S. in Molecular and Cellular Biology from the University of Illinois at Urbana-Champaign in 2009. He is considering a career in surgery, has special interests in neuroscience, exercise physiology, ecological agriculture, and advocates for evidence-based medicine and scientific literacy. Kailyne Van Stavern is a fourth year medical student at Michigan State University College of Human Medicine. She completed a Bachelors of Arts degree in Psychology from the University of California – Los Angeles in 2010. She is interested in pursuing a career in Pediatrics. Kaitlyn M. Vitale is a third year medical student at Michigan State University’s College of Human Medicine. She completed a B.S. in Biological Sciences with a minor in Anthropology from the University of Notre Dame in 2012. She is undecided about her future career goals but is interested in pursuing an Internal Medicine or Pediatrics sub-specialty. Mey Yip is a third year medical student at Michigan State University College of Human Medicine. She received her B.S. degree in Biochemistry from UCLA. Before entering medical school, she worked as a Clinical Research coordinator at the VA Palo Alto and wishes to continue research throughout her career. She is interested in Neonatology. Apoorva Aekka is a second year medical student at Michigan State University College of Human Medicine. She graduated from the University of Michigan with a Bachelor of Arts degree in International Studies—Global Environment and Health. She hopes to pursue her interests in pediatrics and global health. 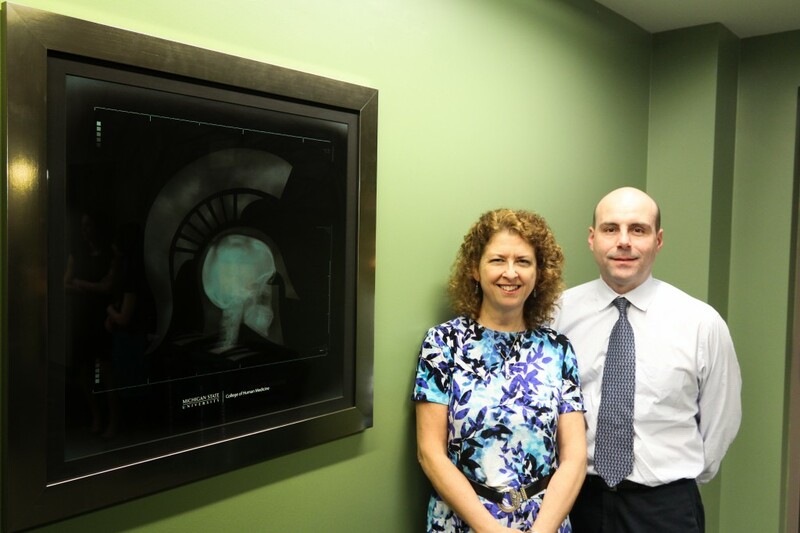 Andrew Benintende is currently a second year at Michigan State University College of Human Medicine. He graduated from the University of Michigan-Ann Arbor with a B.S. in Movement Science. Before entering medical school he taught high school science in Houston Independent School District. He is interested in specifically working with underserved populations both in the United States and abroad. Johnathan Kao is a third year medical student at Michigan State University College of Human Medicine. He received his B.S. in Biochemistry and Cell Biology from the University of California, San Diego and his MPH in Environmental Health Sciences from the University of California, Berkeley. He is currently in the Leadership in Medicine for the Underserved program at MSU and is interested in pursuing a career in Internal Medicine. 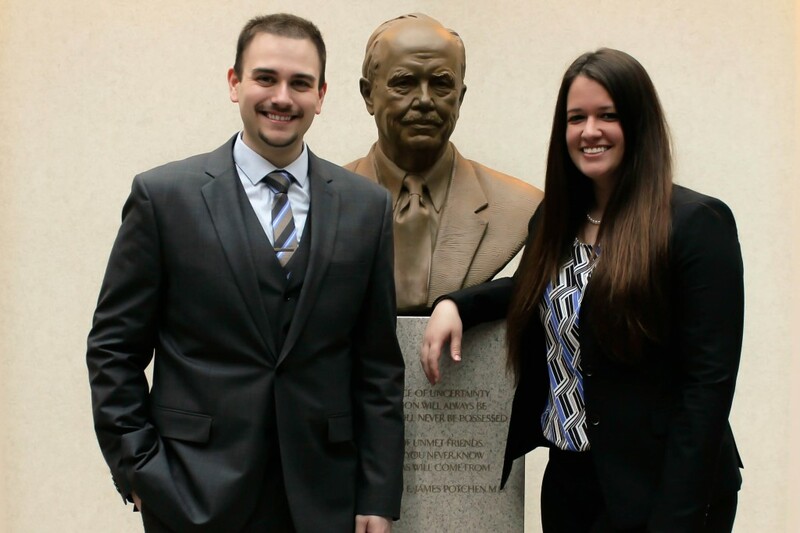 Mike Klingler is a second year medical student at the College of Human Medicine of Michigan State University. He completed a B.S. in Biology at Penn State and a M.S. in Physiology at California State. He is interested in cardiothoracic surgery and conducted lung cancer research at the University of Pittsburgh and neurobiological research at California State. Gina Matar is a second year medical student at Michigan State University’s College of Human Medicine. She completed a B.S. in Neuroscience with a minor in Music from the University of Michigan in 2013. She hopes to pursue a undetermined sub-speciality in pediatrics. Jennifer Monacelli is a second year medical student at Michigan State’s College of Human Medicine. She has returned to the great state of Michigan after receiving her Bachelor’s Degree in Integrative Biology and Physiology from the University of California, Los Angeles. She is considering a career in pediatrics with hopes to one day specialize in hematology/oncology. She looks forward to a career in academic medicine and bringing her enthusiasm to the field of research. Masaki Nagamine is a second year medical student at Michigan State University, College of Human Medicine. After graduating from the University of California Davis with a B.S. in Neurobiology, Physiology, and Behavior, he helped establish auxiliary social service and education programs at the Willow Clinic in Sacramento; a free clinic for the homeless. He hopes to pursue a career in which he can provide extended medical care for the underserved and apply his specific interests in neurology and ophthalmology. Amir Pakray is a second year medical student at Michigan State University College of Human Medicine. In 2011 he graduated from Michigan State University with a bachelors degree in Human Biology, and in 2013 he graduated from Wayne State University with a Masters in Basic Medical Sciences. He has a passion for writing music and poetry along with a fervent interest in cognitive neuroscience. He is very interested in neurology and academic medicine. James Polega is a second year medical student at Michigan State University College of Human Medicine. He received a B.S. in Biology from Saginaw Valley State University. Prior to entering medical school he was an active researcher in the fields of freshwater ecology and natural products chemistry. When not busy with school he enjoys spending time with his wife. He hopes to one day specialize in Hematology/Oncology and practice in his home state of Michigan. Mahnoor Rehman is a second year medical student at Michigan State’s College of Human Medicine. She received her B.S. in Evolutionary Anthropology from the University of Michigan in 2013. Although she is still undecided, she is most interested in pursuing a career in either Internal Medicine or Neurology. In her free time, she enjoys cooking and watching foreign movies. She hopes to eventually work towards establishing a clinic for under-served women in rural Pakistan. 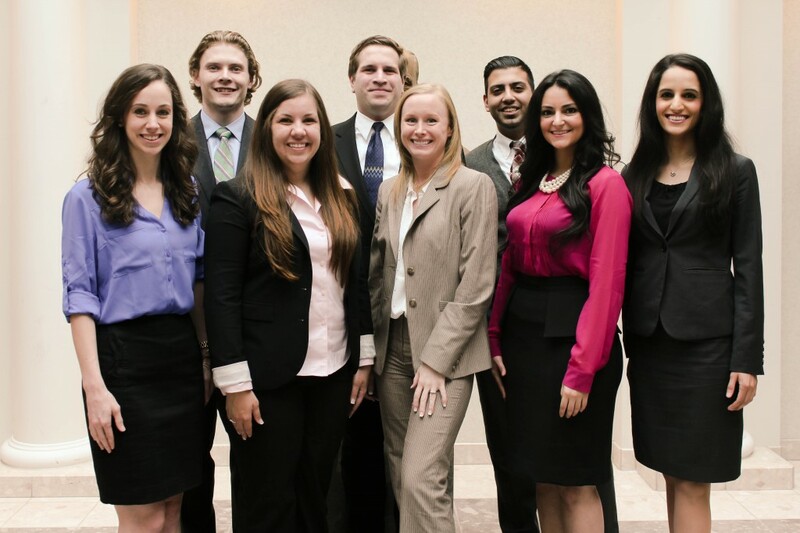 Rama Salhi is a third year medical student Michigan State University’s College of Human Medicine. She graduated from the University of Michigan in 2007 with a B.S. in Microbiology and Arabic studies. She went on to complete a master’s degree in Epidemiology from the Johns Hopkins Bloomberg School of Public Health in 2010. Currently she is considering pursuing a career in academic Emergency Medicine. Joginder Singh is a second year medical student at Michigan State University. He graduated with a B.S. in Biology from Saginaw Valley State University in 2013, and with a B.Sc. in Physical Therapy from University of Delhi in 1996. Joginder is Board certified as a clinical specialist in Orthopaedic Physical Therapy. He is interested in pursuing a career in Orthopaedic Surgery or Radiology. William (B.G.) TenBrink is a second year medical student at Michigan State University’s College of Human Medicine. He graduated from Michigan State University in 2010 with a B.S. in Genomics and Molecular Genetics. Before entering medical school he received a Graduate Certificate in Bioinformatics, Proteomics, and Genomics from The University of Toledo in 2011 and a Graduate Certificate in Biomedical Science from Oakland University in 2012. After working as a medical scribe and a research associate in Detroit area Emergency Departments he hopes to pursue a career in Emergency Medicine and Critical Care. Dr. Clare Luz Ph.D., Assistant Professor, College of Human Medicine, Michigan State University and senior evaluator, Geriatric Education Center of Michigan. Dr. Luz worked as a clinical social worker and consultant in long-term care settings prior to joining CHM as lead research director, then as faculty in Family Medicine, Geriatric Division. Her primary research interests are on aspects of functional health and long-term care that have an impact on optimal aging for vulnerable older adults. She has overseen multiple federally and state-funded grants and teaches research methods. Dr. Luz has been the MSRJ faculty advisor since its 2007 inception. If you would like to contact the editors or an editor in general, please send us a message using this page.